Try a Calm Ocean Musical Projector for free! Try for free a Calm Ocean Musical Projector from PABOBO! 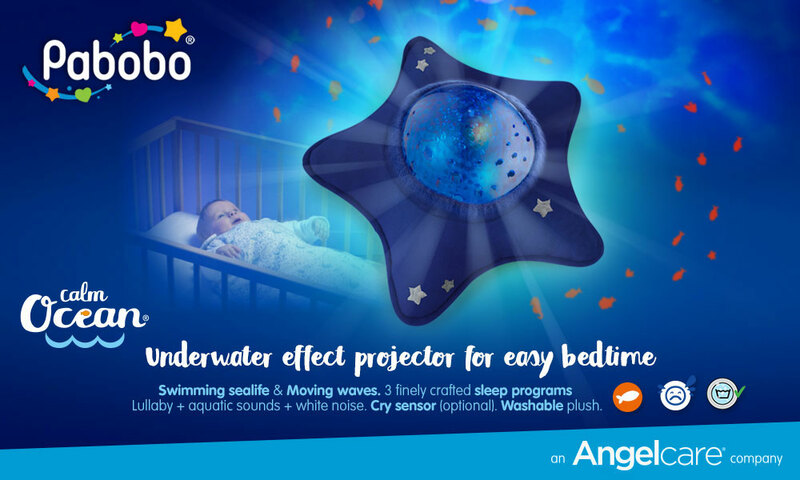 The Pabobo Calm Ocean Musical Projector allows parents to enhance their baby’s bedtime routine! This beautiful, plush-surrounded projector has two pre-set expert sleep cycles to suit either a calm child or to help soothe a restless child. Both of these pre-sets have individual rhythms and light effects to encourage soothing and eventually lull sleep. Calm Ocean’s soft, musical ambiance goes through three phases of descending intensity specifically designed to help baby gradually relax and drift off to sleep. 4 Calm Ocean Musical Projectors to try!